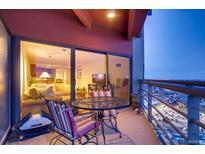 Below you can view all the condos for sale in the Uptown Denver subdivision located in Denver Colorado. Listings in Uptown Denver are updated daily from data we receive from the Denver multiple listing service. To learn more about any of these condos or to receive custom notifications when a new property is listed for sale in Uptown Denver, give us a call at 720-729-2320. Just a few blocks from City Park, the area is totally walkable and has tons of city life energy, while also being tucked away in a cozy neighborhood with tree lined streets and manicured lawns. These are a must-see! MLS#1769954. LIV Sotheby's International Realty. So don't miss this one! MLS#7160895. Keller Williams Integrity Real Estate LLC. This is urban living at its finest, without the concrete jungle feel! MLS#2976647. LIV Sotheby's International Realty. Don't miss all Park Ave West has to offer! MLS#2489912. LIVE URBAN REAL ESTATE. Open Houses scheduled Sat 4/13 10-4pm; Sunday 4/14 noon to 4pm. MLS#7900478. Porchlight Real Estate Group. Two deeded parking spots (one of which is handicap accessible) in the underground parking garage make parking a piece of cake. MLS#2007858. RE/MAX Cherry Creek. Your pets are also welcome in this gated building! MLS#6926997. West and Main Homes Inc.
Close proximity to all of the best amenities Uptown living offers including 17th Ave restaurants, Marczyks Market, Orange Theory, & downtown. MLS#7466774. MB Eisenhard Realty Group. A block to the Uptown Hospital complex, near Humboldt Fish, White Pie, and all the amenities Uptown has to offer. Security entrance. MLS#5828326. LIVE URBAN REAL ESTATE. Don't miss out on the opportunity to call this home. thank you! ! MLS#8586381. HomeSmart Realty Group. One of the best neighborhoods in Denver! MLS#8932514. West and Main Homes Inc. Walk or bike to RiNo, Highlands, City Park and LoDo. MLS#8629354. Keller Williams Integrity Real Estate LLC. This is luxury living at it's finest! MLS#8217327. KENTWOOD REAL ESTATE DTC, LLC. Pet friendly. Quiet and secure building. MLS#8444018. Great Way Real Estate Properties LLC. The location is walking distance to uptown bars/restaurants, min to Downtown & easy access to highway & public transportation. MLS#6346427. LIV Sotheby's International Realty. The secured building also has a recently updated fitness center, community courtyard, and underground parking. MLS#8780174. West and Main Homes Inc. This will go fast. Priced to move quickly! MLS#5543162. Colorado Home Realty. This will go fast and priced to move quickly. MLS#8859388. Colorado Home Realty. Don't miss out on this classic Denver home! ! MLS#8254901. Calibrate Real Estate LLC. The secure entry system makes this the perfect home! MLS#9570193. Keller Williams Preferred Realty. Large private dog park, indoor dog wash. MLS#6152872. Keller Williams Realty Downtown LLC. This one surely won't last long, with low HOA dues, great location, and charming features don't miss out on your chance to live in one of Denver's hottest neighborhoods. MLS#1964973. Kentwood Real Estate Cherry Creek. This prestigious location gives you access to all Denver has to offer. Simply move in! MLS#5207361. Brokers Guild Classic. Denver's Historic Humboldt block just off Restaurant Row on 17th, City Park & Downtown*Large kitchen with a prep island and dining area with doors leading to outdoor patio space - perfect for entertaining*Large family room with newly refinished hardwoods throughout the main level*Both bedrooms have walk-in closet space and their own bathrooms*Large media room / office space upstairs*Huge roof top deck with views of Denver and downtown*Deeded Private Garage Space* NO HOA*Large basement space with laundry and many possibilities! MLS#3962778. Gunlock Homes. $93/mo*Solid core doors*Estimated completion is May/June 2019*Photos are representative and for marketing purposes only. MLS#5440707. Kentwood Real Estate City Properties.